Stevensons-Stone® range of exterior cornice and eaves mouldings are suitable for use on properties both large and small. 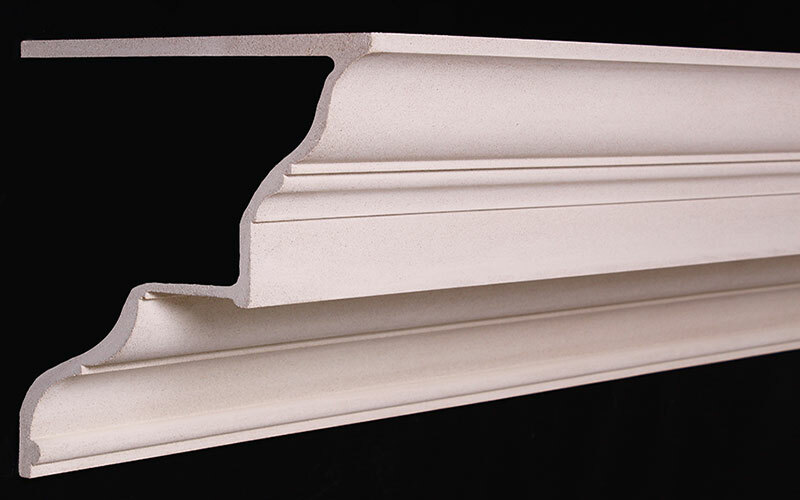 Our exterior Stevensons-Stone® cornice mouldings can be specified in a wide range of stone finishes. Stevensons-Stone® offers an authentic appearance of natural stone, is light and durable, has an EN13501-1 fire rating and can incorporate fine and intricate architectural detail. As a bespoke option Stevenson-Stone® can be manufactured in any RAL colour. Exterior cornice mouldings can be supplied with or without a weathering shelf. Purpose-made exterior cornice mouldings can also be supplied to match any existing shape, size, colour or texture. Preformed internal and external cornice mitres are also available. This range of corbels are not available in our online shop, however it is possible purchase a Stevensons-Stone® sample finishes box online.